Mercenary Campaign. 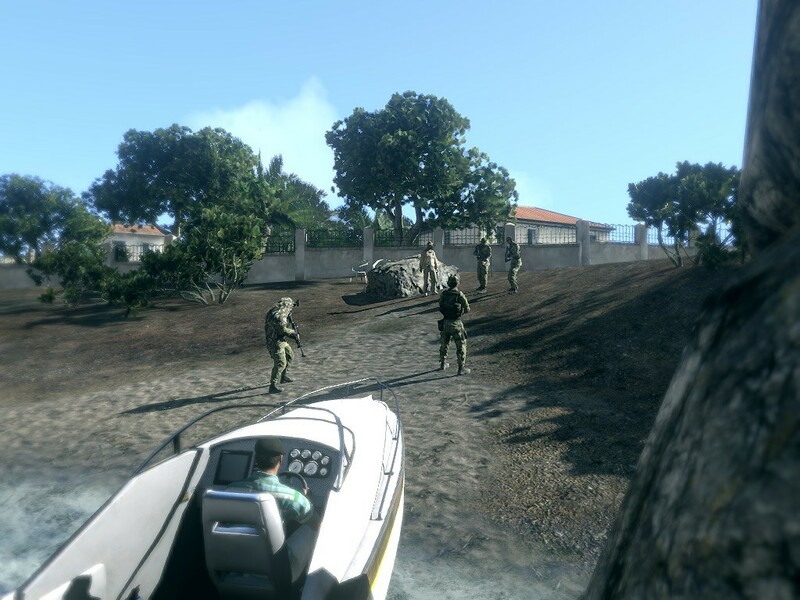 Co-operative battle for control of the regions of Altis. Take jobs from regional leaders to gain influence until you can challenge them for power. 50 unique missions, progress saved. Simple, variable task progress. 2-8+ players per task, 4+ tasks per server. Check The Workshop! After escaping to Altis, you meet up with your contacts. 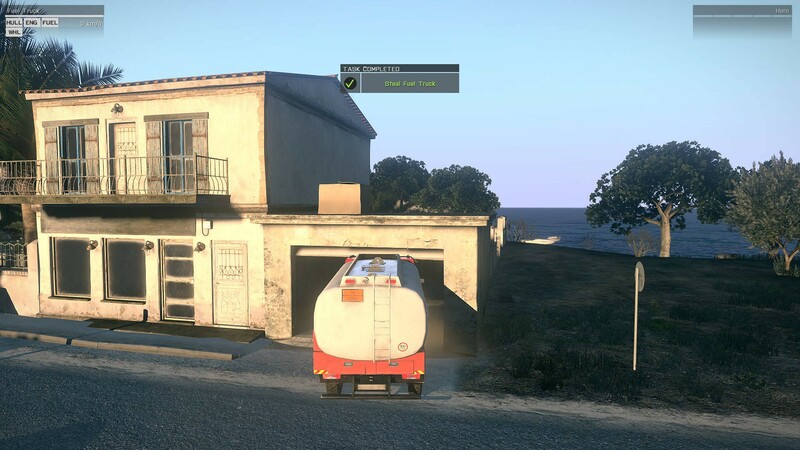 Altis’ national government collapsed years ago. Speak to the regional leaders, and exploit their desperation for armed help. With your group of Hired Guns, you could gain influence with the regional powers over time, so they support your bid for power, or overpower them. Your reputation as a top mercenary from Stratis will get them to trust you, to start with. 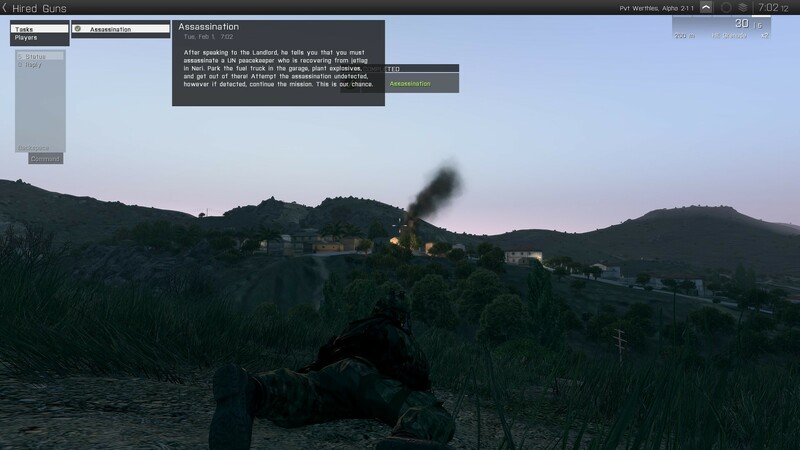 A range of mission types, including raids, assassinations, target destruction and other confrontations, loaded to the server on request. Completing jobs unlocks new ones. 50 unique, crafted missions. Hired Guns is designed so that multiple groups can work on different tasks on the same server, creating a dynamic and hostile environment. 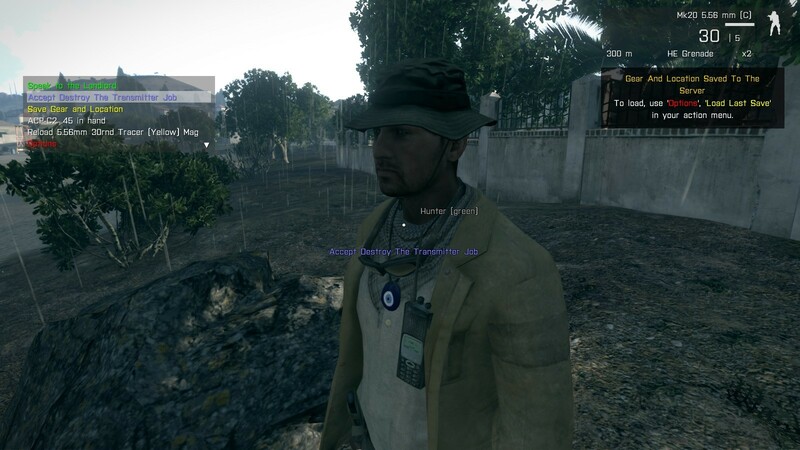 You can team up with people in game and work with them to complete tasks, or join a server with friends. Every effort has been made to reduce demand on the server. Your progress is saved to the host server. The host needs to run the "@HG" mod included. This mission requires the host to run a modified version of iniDBi, which I will upload to steam as soon as this feature is released. 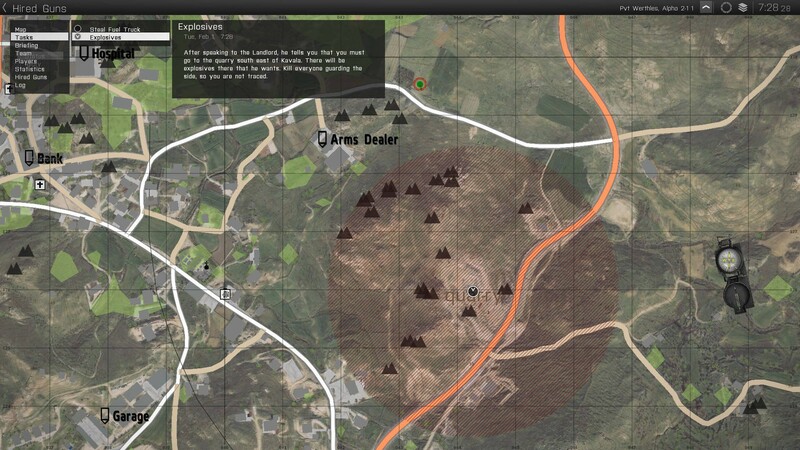 The mod will also contain mission information. UPSMON, FAR REVIVE, aeroson's Repetitive Cleanup and Meatball's randomWeather2 scripts to be included.